Spirits are abandoned by a kingdom, and with that, this kingdom and its people sit unknowingly on the verge of destruction. A wanderer named Mica finds her way into this kingdom without spirits, and is pulled into a new adventure by Cyrille, a woman who is determined to find a way to rekindle the bond between man and spirit. Together–and with others that they meet along the way–they navigate through the kingdom to unearth its secrets, in hopes to reverse the doom that is quickly approaching the kingdom. 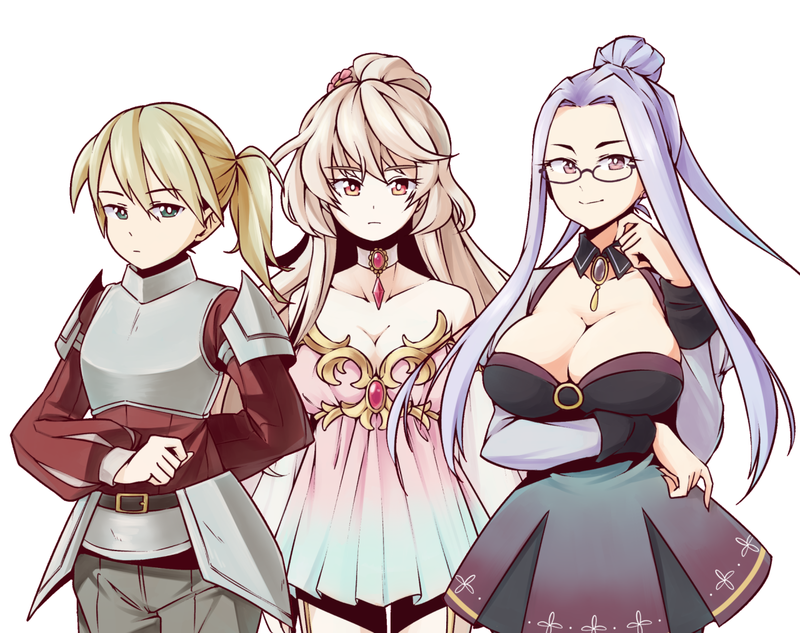 Inspirited is a fantasy adventure visual novel with RPG elements! 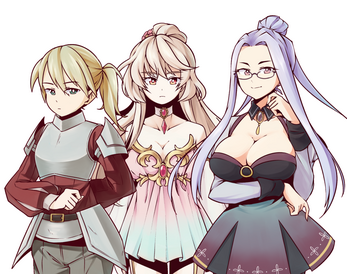 The story has several different endings with five different girls. 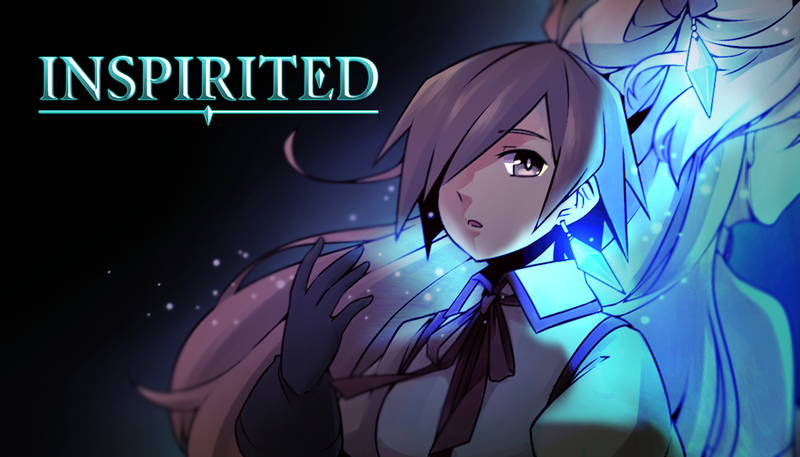 The demo for Inspirited was completed for Yuri Game Jam 2016 and is available for download! The full release date is tentative, but you can definitely expect the full release in 2017. Keep up with our progress here! Unzip the Demo folder, and click on Game to start the game! The download button isn't working. Seeing all these games get made on here, it makes me want to build the game I have had in my brain for years. Had this game idea in my head for 20 years. Have never been able to do more than make the story for it. Low funds, lack of interested help, lack of programmers is a big one! I cant code for the life of me lol. Could never get the hang of it. The problem is the sheer enormity of the project I guess. My idea would probably take years to build. Mainly because Im not a big gaming company that can pay people to build something like this. But you guy on this platform build some pretty damn good games, good job guys. Was this in RPG Maker MV? I click "install" and it doesnt do anything. it just tries to download it for a second, and then it says "install" agian. never actually installs. help? I played the first part of this game from a friend PC, but now i can't download it, from the website, and from itch. How can i get the game? If i go in the website it just won't start the download, if I click Install in itch application it add them in the download queue and then in just cancel the download, witouth any error message of anything. What can I do for fix the problem? I use itch on Mac OS Sierra. UPDATE KINDA and Happy New Year! We've decided to delay the full release of Inspirited due to the holidays and preparation for upcoming con season. That said, we've been working on Inspirited, albeit slowly--I've been ironing out bugs/refining some things in the previous build, and some of the artwork will be revamped. I'll keep you guys posted when I have more updates, and things become more concrete! Hello :) I am really enjoying the demo! The art is lovely, and the music feels warm and inviting. I did notice a couple of things with my play through though. Sometimes the dialogue text would be underneath the speaking characters name, making the dialogue difficult to read. Also, when I saw the Blacksmith on the East side, next to his sprite there was a white line that spanned the length of the screen from top to bottom. The same thing happened with the skilled swordsman in the training hall, and the shopkeep on the west side. While in the sewers, Mica was killed. After the battle I accessed the menu, but it would not allow me to use the salts to resuscitate my character, but it did let me use the salts on a LIVING character to restore health? I could not finish the demo because Mica was dead and I could not bring them back. Game looks interesting, anyway. I'll keep an eye out. Haha, gotta throw in a few things for fun! ;D Thanks for giving our demo a whirl, we'll be posting more updates soon-ish, so definitely keep an eye out. Do you have an ETA for the full game? Hey there! At this time, we're aiming for December 31st for the full release, but that date may be subject to change. I'll wait for it impatiently! Is this game going to be released on Steam?